After taking a destructive path through the Caribbean, Hurricane Irma made landfall in the Florida Keys on Sunday afternoon. It will continue to wreak havoc as it moves through th state of Florida. States of Emergency has also been issued in Alabama, Georgia, North Carolina and South Carolina. An incredibly powerful storm, its full impact has yet to be realized. We are compiling a list of responses, news items, resources and programming for philanthropy in response to the destruction being left by Hurricane Irma. Please send additional suggestions to info@unitedphilforum.org. Our member Florida Philanthropic Network has compiled a comprehensive list of relief efforts and resources. This Fund of Funders Concerned About AIDS and administered by AIDS United incorporates HIV into a broader, integrated movement for social justice and seeks to positively impact the social determinants of health in the region. It has been expanded to address disaster relief in Florida, Texas and Puerto Rico. Center for Disaster Philanthropy's fund will focus on medium and long-term rebuilding needs. Long-term needs are expected to include rebuilding homes, businesses, infrastructure, meeting the needs of young children and supporting mental health needs. Geographically, the fund will focus on the entirety of the storm’s impact area. Specific location and need-focus will be determined by the grant oversight committee. The fund will support longer term recovery and rebuilding efforts. The Community Foundation of Collier County, in close collaboration with the City of Naples and Collier County Emergency Management, Collier County Sheriff’s Office, City of Naples Police Department, Marco Island Police Department and the United Way of Collier County has established the Collier Comes Together Disaster Relief Fund to provide assistance to Hurricane Irma victims. 100% of donations collected are distributed to victims and their families. This fund will be used to grant funds to nonprofit organizations in Palm Beach and Martin Counties that have specific needs caused by storm conditions concerning interruption of services or facility repair and restoration. The Community Foundation of Sarasota County has set up a Disaster Relief Fund that will accept tax deductible donations for relief efforts. The Gulf Coast Community Foundation has activated a disaster fund to support relief and recovery from the natural disaster that has affected the region. Relief will focus on making communities habitable again so residents can resume their daily lives and will include a range of activities needed to rebuild the regional economy and return stability to individuals and families. As Manatee County faces the short-term relief and long-term recovery needs caused by Hurricane Irma, Manatee Community Foundation will work in partnership with other local funders including United Way Suncoast, Manatee County Government, and the Community Foundation of Sarasota County to maximize the power of this fund to assist those impacted by this storm in Manatee County. All donations to this fund will exclusively support the victims of the catastrophic Hurricane Irma in Puerto Rico and provide relief and aid the communities affected by this disaster. This fund is managed by the non-profit ConPRmetidos in alliance with Professional Insurance Agents of Puerto Rico and the Caribbean (PIA) to help us identify and direct the funds to the areas that will need it the most. Hispanics in Philanthropy created this fund to support those affected by Hurricane Irma. The funds will go directly to nonprofits working on the ground, such as Fundación Comunitaria de Puerto Rico. HIPGive will not charge an administrative fee to transfer the funds. The Hurricane Relief Fund- This fund will support recovery and rebuilding work driven by organizations on the ground. 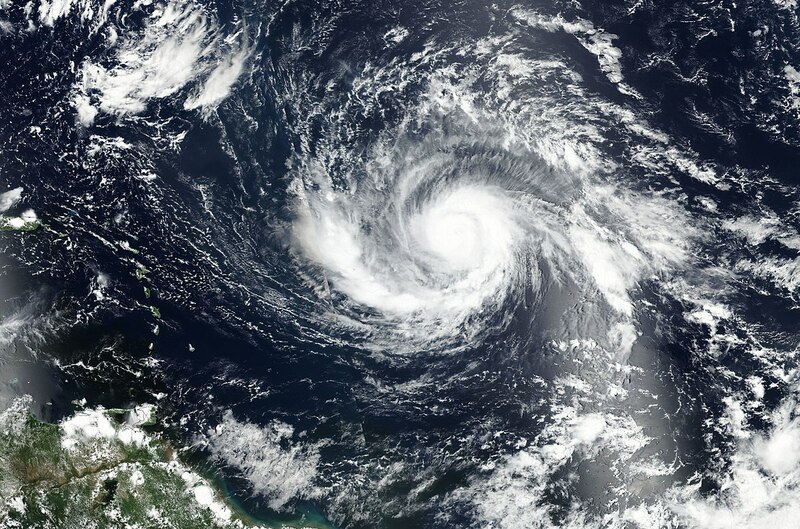 Irma Caribbean Strong Relief Fund — This Fund will support relief efforts in small Caribbean island nations and territories, including Antigua & Barbuda, U.S. Virgin Islands and the Bahamas. Hurricane Irma has devastated parts of the Caribbean, knocking out communications that are vital for residents and first responders. NetHope has activated its Emergency Response Working Group to the region, and we are actively raising support for the communications needs of those affected by, and responding to Irma. The Sierra Club is managing this fund to help the people in Irma's path. Donations will support on-the-ground relief and recovery efforts for south Florida, Puerto Rico, and other communities in Irma’s path. 100% of funds donated will go directly to community-led recovery efforts in areas impacted by Irma. The Southwest Florida Community Foundation has joined forces with the United Way of Lee, Hendry, Glades and Okeechobee Counties to create a giving fund to help in the aftermath of those affected by Hurricane Irma. 100 percent of the funds donated through the Southwest Florida Community Foundation will be used by the United Way to provide emergency funds to directly help people displaced from their homes and those suffering loss due to the hurricane and floods. This fund is a strategic collaboration of the Community Foundation of Tampa Bay, Foundation for a Healthy St. Petersburg, Pinellas Community Foundation, United Way of Citrus County, United Way of Hernando, United Way of Pasco, and United Way Suncoast. 100% of the funds collected through this effort will be directed to address immediate and mid- to long-term recovery needs through grants to select nonprofits. Donations will be used to provide immediate help to people displaced by the storm, as well as long-term rebuilding efforts. The relief fund has already made $100,000 grants to the American Red Cross Northeast Florida Chapter and the Salvation Army of Northeast Florida. All money from the fund will be limited to helping people in Baker, Clay, Duval, Nassau, Putnam and St. Johns County and will be reviewed by a committee made up of members of local philanthropic groups. Philanthropy New York shares disaster grantmaking best pratices and strategies indentified by nonprofits, community foundations, and governmental agencies. The Veterans Emergency Management Evaluation Center (VEMEC) within the U.S. Department of Veterans Affairs (VA) has produced this toolkit to provide guidance for identifying and collaborating with partners to address disaster response and recovery needs of homeless individuals. It outlines strategies to engage in preparedness and minimize service disruption from a disaster. Furthermore, it specifies how to enhance the capacity of healthcare settings with providers experienced in serving people who are homeless, and provide expanded care following a disaster or public health emergency. Michael Seltzer, Baruch College Distinguished Lecturer and Director of The New York Community Trust Leadership Fellows program, gives six essential perspectives on disaster recovery. This resource from the National Council of Nonprofits is tailored for nonprofits and donors who are interested in responding to a disaster. It includes practical tips for making post-disaster donations and providing recovery assistance.